Welcome to the Mastersound Entertainment pages! On our website we would like to introduce the concept of Mastersound Entertainment to you. Mastersound Entertainment contains the Mastersound Studios as well as Mastersound Management & Booking. In our two Mastersound Studios we offer custom-made studio productions such as recording or mixdown up to final masterings. Our Mastersound Management & Booking Office attends to the interests of artists such as ATROCITY and LEAVES’ EYES. 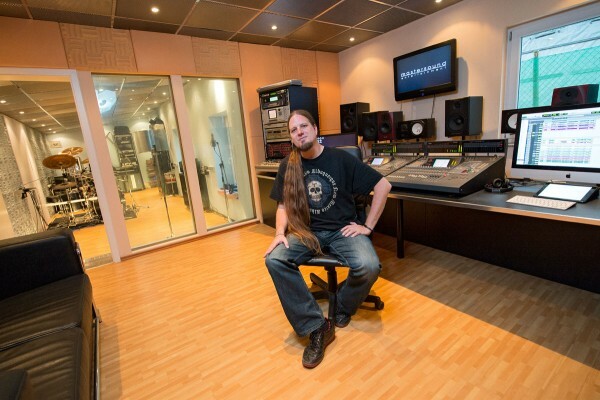 Since we ourselves have been experienced musicians and artists for years, it is of great importance to us that every band having decided in favour of our studio receives maximum attention. Be it a well-known established artist, a young talent or a newcomer act – we aim at a felicitous cooperation with our customers. Hence, we are concerned with the utmost implementation of each of our customers’ wishes. We hope these pages will deliver all necessary information to you in order to get a first impression of us and of the way we work. So, have fun surfing the pages!